If you are a small business owner and your business doesn’t have a mobile app , you definitely need one. Having a website alone will not be sufficient enough to stay competitive in the market. Major online activity gradually shifting to mobile devices. Mobile Technology has skyrocketed in last few years. Today entrepreneurs and business owner are increasingly becoming aware that well designed institutive app can bring in a lot of new business. 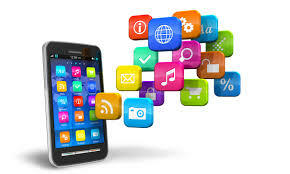 Mobile apps also help businesses increase their exposure to a larger audience and get new clients. Here are few reasons why you should consider a mobile app for your business. You already offer product/services on your website. The mobile app can be a great value addition for your customers. Value Added services can differentiate your company from your competitor. With mobile apps, you can offer services like support ticket generation, on the go services request, discount coupons, new product update and many more things. If your customer needs to contact you , they can quickly able to find you with the mobile app. The mobile app can provide your contact details like phone number, email , address etc. They can click on the phone number directly from the app to make a call. Fast contact makes it easier for the customer to directly contact you and close sales. Over the past few years, cost and time of mobile app development have reduced drastically. You need to carefully choose the right development agency to help you develop an app. You also need to write down the requirement and expectation from the app to discuss it with various vendors. The mobile app can give your business constant presence on your customer’s mobile phone. An app offers easily accessible information right at their fingertips, constant presence can improve customer experience significantly. Mobile apps are best suited to retain existing user and keep them engage with the app. Social media can be integrated into Mobile apps swiftly. Social media is a great way to be in constant touch with your customers. This puts your business into a fun and welcoming atmosphere for the app users. Your visitors will be able to share interesting products on social media which will increase brand visibility. You can also offer login with social media buttons like Google+, Facebook, and Twitter. Mobile payments are getting bigger with rising in Mobile Tech. About 70% of world population now owns a smartphone. More than 30% of the e-commerce happening on a mobile device today. Integration of eCommerce to your mobile app can increase sales and customer experience. Mobile payment can have a seamless experience for your customers. It allows the customer to pay for product or services with ease. Seamless mobile payment experience can increase your top line. Gaurav Kanabar is the Director of Alphanso Tech, a globally acknowledge IT consulting company providing services in the arena of the iPhone App Development . With immense support from the adroit team, Alphanso Tech has been serving a huge client base worldwide.